Trick To Lock Your Computer By Creating Desktop Shortcut. If you are using your PC or laptop and your office or school or any other place and you want to keep your DATA safe . 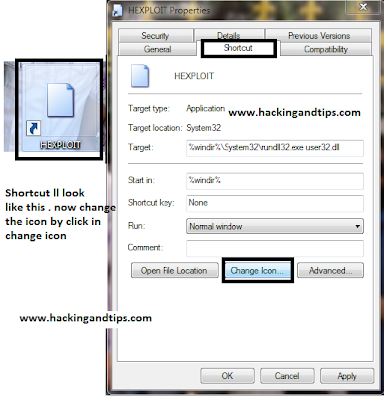 through this trick you can protect you PC data . This is just a simple trick . STEPS TO LOCK YOUR COMPUTER BY CREATING DESKTOP SHORTCUT!!! 1. 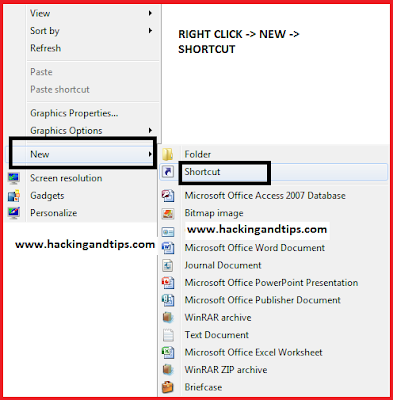 Right click desktop and choose 'NEW' option then 'SHORTCUT'. 2).Now the shortcut will open , in the first text box, type ' ‘%windir%\System32\rundll32.exeuser32.dll ’,as shown below. then press next. 3). Then the next step for this Trick is give NAME to your shortcut on the next page, and hit finish. 4).You will notice that the shortcut you created has a blank icon. To select a more appropriate one, right click on the shortcut and hit 'PROPERTIES' In the 'shortcut' tab, click the 'change icon' button as shown in screen shot. 5. 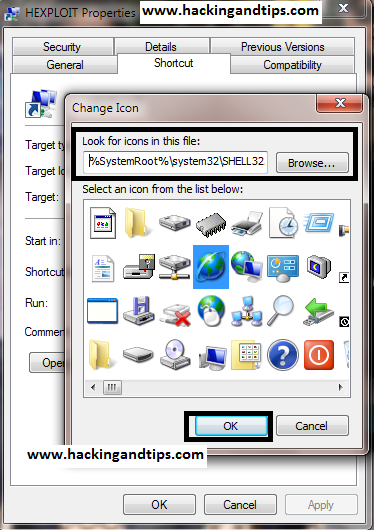 Now change icon box will apper there you have to type %SystemRoot%\system32\SHELL32.dll' as shown below then click OK.
Now your desktop lock with a shotcut is now ready for use.